New born squirrels (pinkies) blend in perfectly with attic insulation. Pitter, patter…. scritchity scritchity… what’s going on up in your attic? It’s late summer, maybe even fall… it can’t be squirrels who’ve gotten in there to nest, because baby season is over, right? Or, is it? Probably not. 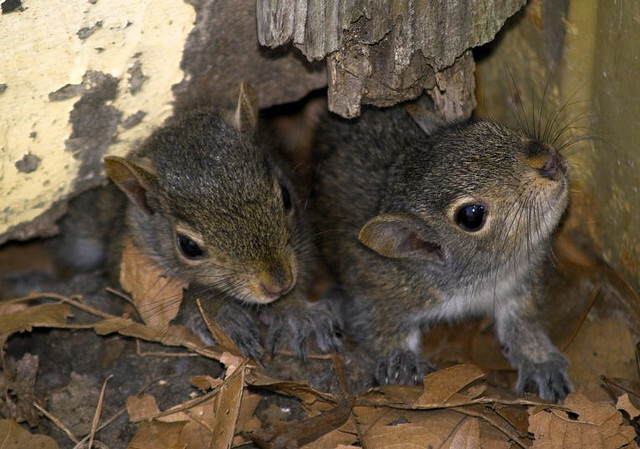 For many squirrels, another round of babies may be born in August or September. The window of opportunity for this second breeding season varies widely with location, food availability, and individual cycles, among other factors. The noises you may hear can be pretty loud, because they get amplified through the wallboard. Here’s a roadmap for evicting squirrels without causing unnecessary harm to the squirrels or your wallet. Squirrel moms see gaps or rotting boards at the roofline and unscreened vents as entryways to a safe, cozy nest site. 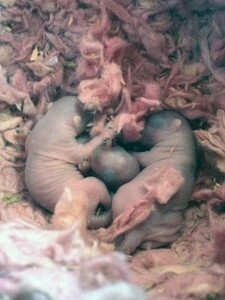 Baby squirrels are born helpless and won’t be ready to venture out of the nest until they are 7-8 weeks old. This means that they won’t be able to follow their mom out if you opt to attach a one-way door to the entryway of the attic or crawl space they’re using. Mom is unable to carry them out through a one-way door, so these should not be used when dependent young are present. As they get older, baby squirrels will become more active and you’ll begin to hear more noise coming from your attic or crawlspace. Once you become aware of them try to visually confirm that more than one individual is exiting the entry point. If that is the case then you may be able to use a one-way door to get them out. If you can’t get this information, once you have heard mom and or her young, you may need to wait 8-10 weeks before trying to use a one way door to get them out to make sure that the young are old enough to use it. Once you’re certain your resident squirrels have moved out, it’s time to close up any entry points, to prevent another animal from thinking you’ve got a vacancy. 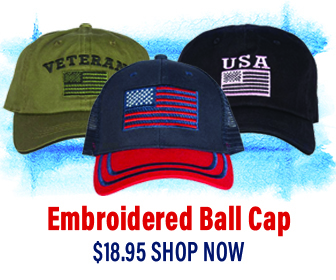 Seal off the entry point with hardware cloth or metal flashing, extending it six inches or more beyond the opening on all sides, and securing it with heavy-duty staples, or screws. After a couple weeks, remove this temporary repair and make a more permanent one with materials matching your home’s exterior. If you were off on your estimation of how old the young were then you might find that mom broke back in to get back to her babies, so it’s important to be as accurate as possible when making decisions about when to seal up the entry point. Depending on where the entry is and what you are closing up or protecting, you may want to use flashing or wire mesh for the permanent fix. This damaged trim board would have been discovered before the squirrel got in if a regular inspection of the gutter was performed. Keep an eye out for possible entry points that either already exist on your home or are a result of building material failure or deterioration. It is important to remember that squirrels can climb on most vertical surfaces and are looking for entry points from 2.5 inches in diameter and up to gain access to an interior void. 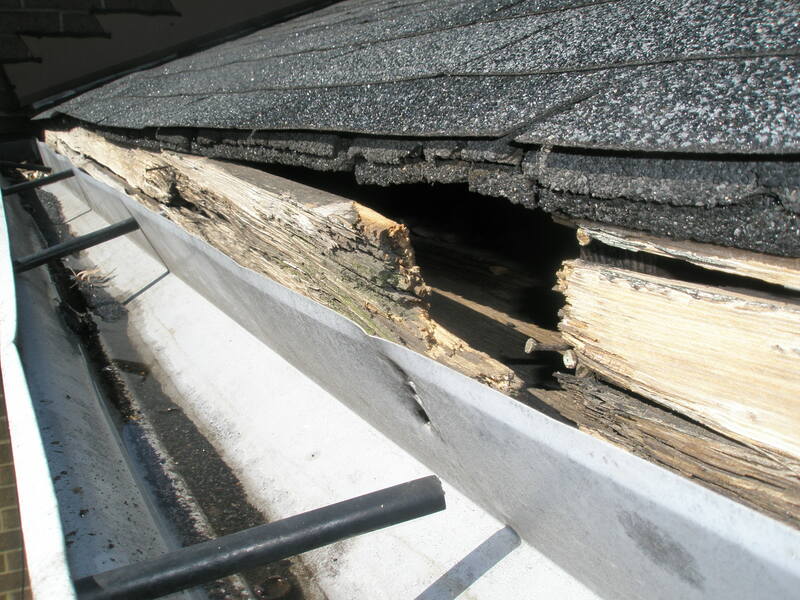 Keep up with roofline maintenance of wood trim pieces, and try to find out what is happening behind your gutter a couple of times a year. Pay special attention to side attic vents as well since they are often unprotected or minimally protected, and offer easy access to a prime nesting site. Remember prevention is always easier than dealing with the situation once an animal has moved in! If you discover that animals are denning in your attic in the winter, wait until temperatures are above freezing before using harassment to get them to leave. At lower temperatures, they may not be sensitive to your harassment efforts, and you could accidentally close them up inside, not realizing they’re present. When it warms up, though, they’ll notice your hints to leave, and they’ll head out to find peace and quiet elsewhere. extensively in the U.S. and U.K. previously this calendar month. Skype for Website also now facilitates Linux and Chromebook for instant messaging conversation (no voice and video however, all those require a plug-in installing). Hey Buddy!, I found this information for you: "Late Summer Baby Squirrels". Here is the website link: https://effectivewildlifesolutions.com/baby-squirrels/. Thank you.